Since 1947, Midwest Folding Products has been building innovative, cost effective, quality products primarily for the education, hospitality, church and commercial markets. Product lines include plywood and ABS folding tables, buffet carts, cocktail tables, risers and stages. 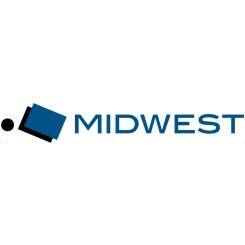 As of November 17, 2014, Midwest Folding Products became a division of Nudo Products, Inc. Midwest Folding Products values their ability to provide exceptional customer service and quality; assets they have built their reputation on over the years. Midwest Folding Products is the leader is stages and risers. Their popular Transfold Dual Height Stages have built-in casters for mobility and easy setup allowing you to create a whole stage platform in minutes. Choose from solid core top in the F Series folding tables or the extra durable plywood core top of the EF Series folding tables. Both series are available with a variety of high pressure laminate colors.